When you get your first pay cheque it is an exciting feeling to be earning your own money. However, you will probably soon find that it doesn’t stretch very far. This will be especially true if you have moved out of home and have new expenses. To make your money go as far as possible you need to be sensible and budget. This doesn’t mean that you can’t have fun, but that you make the most of every hard earned pound. Work out what your monthly expenses will be such as your rent, bills, food, work clothes and travel and set aside enough to cover these. See if there are any areas that you cut back on like sharing the food shop with a flatmate or finding a cheaper electricity provider. You don’t want to spend above your means and be left having to pay your rent with a credit card. While you need to be sensible, you don’t want life to be all work and no play. Within your budget try and set aside a small amount of cash for you to have fun or to cover you for anything unexpected. This may be a work event, a contribution to a leaving present or a few drinks with your colleagues. One of the things that will drain your hard earned money quickly is buying your lunch everyday. It may be easy but it works out very expensive. Make your lunch at home and take it into work with you. Perhaps treat yourself once a week or if a group of people are going out for lunch, but don’t make it a regular thing. It is fun to socialise with your work colleagues and you don’t want to feel left out because you don’t have much money. Try and find ways to socialise on the cheap. If your friends are going out for lunch, join them for a coffee. If they are going out for drinks suggest you start early with a bottle of wine in the office after work. It may not seem very possible right now but it is important that you get into the habit of saving. If you are still living at home then you should have enough spare cash to put aside. If not, then even small, regular contributions will soon add up. Set up a direct debit to come out the day you are paid so you are not tempted to spend the money. Leaning to live within your budget isn’t easy, especially when you are not earning very much in your first job. However, getting into good habits early on will set you up well for the future. 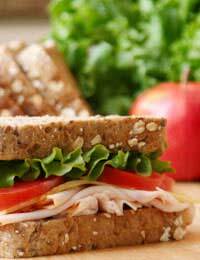 Be sure to budget and save what you can and cut back on unnecessary expenses such as buying lunch. Don’t beat yourself up if you want a quick drink with your colleagues now and again though as everyone needs a bit of fun in their work day.